If you follow my YouTube channel, you will know I kind of like to wing things when it comes to soaping. Well, while I love to wing it, I am an organizational freak. I write everything down with each soap loaf I make. While I was using a note book, I found it hard to stay organized and find what I needed. So, after searching and searching, I could not find what I wanted. So what do you do when you can not find what you need? You make your own! 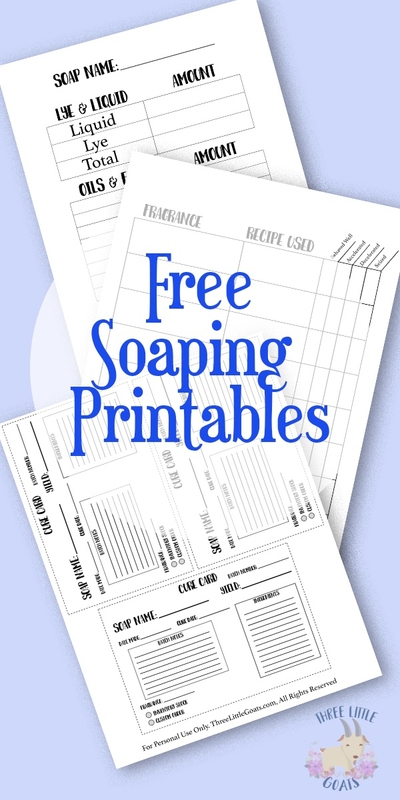 So, today I am sharing some free soaping printables with bonus soap recipes for you to print and use. 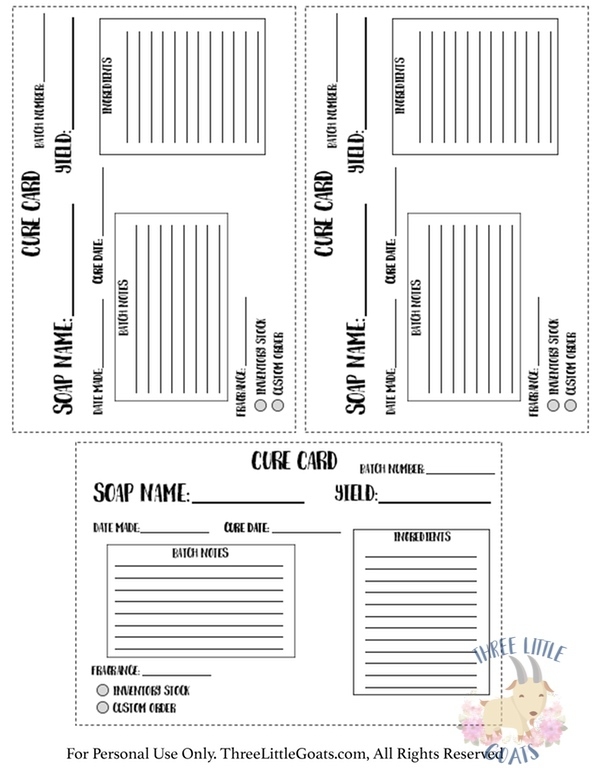 I included three free soaping printables, plus included a basic soap recipe and my go to recipe for whipped soap frosting. 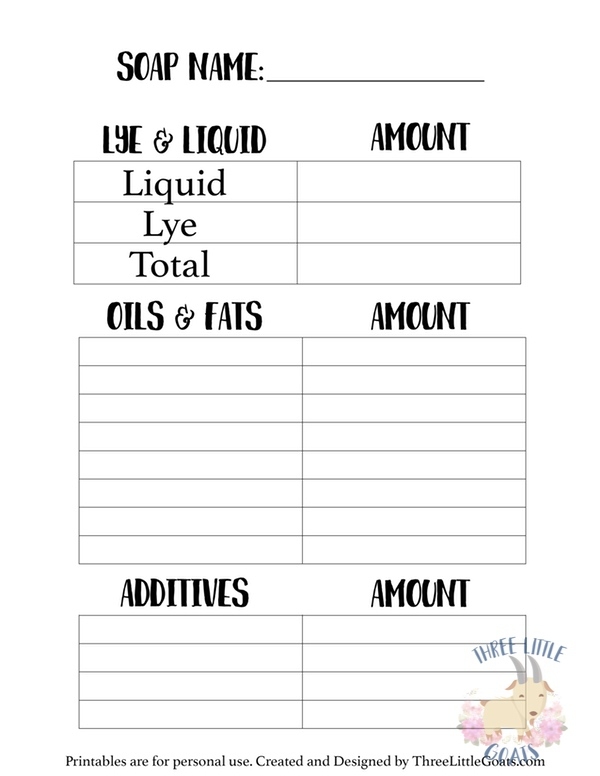 The first free soaping printable is a basic recipe page. Here you can write down your own recipes and take note of any additives that you have added, such as kaolin clay, or goat milk. If you are new to soaping, or have been doing it for a while, you know that some fragrances play nicer than others. If you make a lot of soap, it may be difficult to remember what fragrances work well, and what does not. 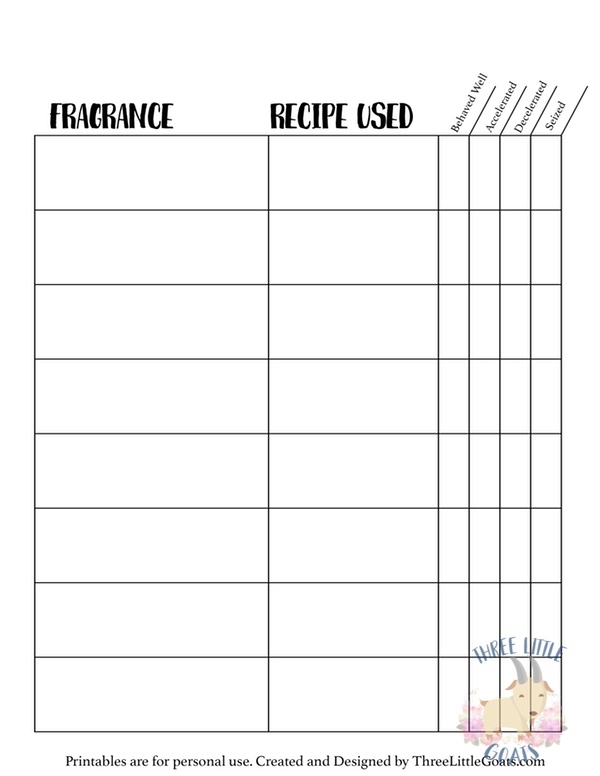 This fragrance soaping printable gives you a place to write down your fragrance, what recipe you used, and how the fragrance oil reacted in the soap. Not only do I like to have all of my notes in one place, I like to keep a little card with each batch of soap I make. This free cure care printable allows you write down all of the information about a batch and place it with your soap while it cures. No more having to remember when a soap is ready!